Here we go again in Parkland FL. How can we get the national media to read this and see what is happening? All they talk about is the same old thing — Guns and Mental Health. If they want a solution it’s here. WHY ISN’T ANYONE ASKING THE OBVIOUS QUESTION,— ”WAS THE SHOOTER NOW OR PREVIOUSLY ON PRESCRIPTION BRAIN ALTERING PSYCHIATRIC DRUGS THAT HAVE A BLACK BOX WARNING INDICATING SERIOUS ADVERSE REACTIONS? On 10/4/17, I wrote an editorial discussing the mass shootings in Las Vegas and also in Southerland Springs Texas (Below). Today, 2/11/18, I read an article in the San Diego Union – Tribune on page A12 titled “Autopsy gives no insight on motivation in Las Vegas shooting”. The article was written by Michael Balsamo and Tom Tait, both writers for the Aassociated Press. If you read my previous editorial below, you will see quite readily that the statement that, antianxiety drugs does not have an influence on a person is ludicrous. Also the newspaper article states, “the motivation for the shooting has been a mystery”, which again is very misleading. When one is under the influence of black box warning psychiatric medications, whether they be anti-anxiety, anti-depressants or anti-psychotic medications, there is potential for very serious side effects, with suicidality, poor judgment and reasoning and anger and hostility in the form of homicide, leading the way. To state that the current autopsy gives no insight into motivation for the shooting is extremely misleading and a disservice to the general community, for not exposing the serious adverse reactions from brain altering psychiatric medications. 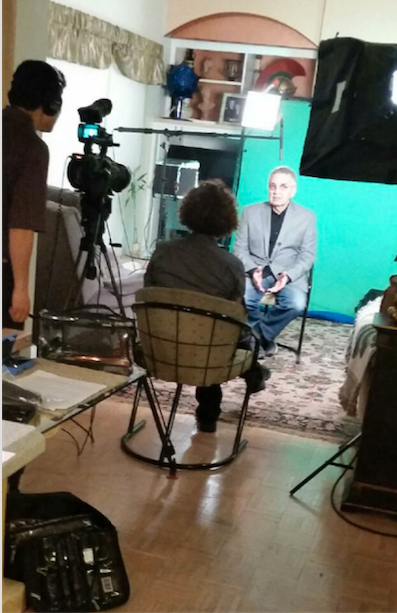 Recently I was interviewed by the International Citizens Commission for Human Rights (CCHR) and asked a question as to, what I felt about the current treatment of choice by psychiatry. In reflecting back on my 50 years in the mental health field, I recalled that many years ago, psychiatrists, as well as psychologist, were required to expose themselves, for approximately one year, to psychoanalysis; which was one of the treatments of choice at that time. Since then, cognitive behavioral therapies replaced Freudian Psychoanalysis in the field of psychology. In the field of psychiatry, psychoanalysis has been replaced primarily with brain altering, black box warning, psychiatric medications as well as electroconvulsive therapies. It’s interesting to think back to when psychiatry students and psychology students were most often required to be exposed to a year of psychoanalysis, to more or less experience what their patients were going to be receiving from them. With this in mind, I made a comment during my video interview with CCHR, where I suggested psychiatry residents now should be exposed to what they were going to provide to their future patients. One year of taking multiple psychiatric medications, as well as several sessions of electroconvulsive therapy (ECT). If this program was instituted in medical schools across the country, I doubt very seriously that there would be many medical students pursuing a specialty in psychiatry, either because they would realize personally the adverse reactions to these treatments or after a significant period of time experiencing these treatments, they would have difficulty functioning. The question remains, when is the media and the government going to put 2 and 2 together and wake up to the fact that; BRAIN ALTERING, BLACK BOX WARNING, PSYCHIATRIC MEDICATIONS have severe adverse reactions that can lead to suicide, dead in bed situations and homicide and have done so in many instances. (Read Book “Invisible Scars” for documentation on this subject – www.bartpbillings.com). Below was my editorial from 10/4/17 regarding the Las Vegas shooting, on how to prevent mass killings by people who are on psychiatric brain altering medications. With the current mass shootings, the media and politicians are stating that something needs to be done in regard to gun control, as well as focusing more on mental health issues. If the focus on mental health issues requires increasing the numbers of mental health providers, such as psychiatrists, whose primary treatment modality is prescribing brain altering psychiatric medications with serious black box warnings, then this solution would only increase the problem. It will be adding fuel to the fire. It has been established that most all of the mass shooters were on or previously using these prescription brain altering psychiatric medications. Also many of the shooters got their guns legally with background checks. Therefore the focus should be on brain altering psychiatric meds being used, not gun control. When increasing the number of mental health providers, we must look at specialties that practice integrative treatment, without the use of psychiatric medications, i.e. psychologists, social workers, counselors, etc. 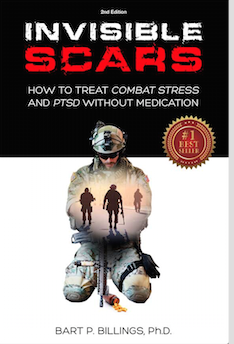 In my book, “INVISIBLE SCARS – How To Treat Combat Stress and PTSD Without Medication”, I discuss and sight research that shows most all mass shooters, over the past decade, have either actively been on or previously been on brain altering psychiatric medications and in some cases, alcohol or illegal drugs as well. Therefore as mentioned, the focus now should be on “psychiatric medication control” instead of focusing on “gun control”. Since there is such a strong relationship between the mass shootings and brain altering psychiatric medication, it would be common sense to set up a system where anyone taking a brain altering psychiatric medication would not be allowed to purchase or own a firearm. A reasonable way of accomplishing this would be for: all pharmacists, filling a prescription for a black box, brain altering psychiatric medication, who normally enter the patient’s name into their computer, would at the same time, be linked to the Alcohol, Tobacco, Firearms Dept. (ATF), Department of Justice (DOJ) or FBI’s data base. Once in the ATF, DOJ and FBI system, the person’s name would be sent to every firearms retailer in the United States, putting the name on a “cannot buy” a firearm list. This way, if the person named on the DOJ “cannot buy” list, comes into a gun store to purchase a weapon, the salesperson would simply say their name is on a “cannot buy” list. The list gives no reason, due to confidentially, and if the person on the list wants to know why they can’t purchase a firearm, the salesperson would simply give them the contact information at DOJ, to get an explanation. I would also recommend that if a relative, with the same last name of the person on the list comes into purchase a firearm, they should be informed that their relative should not have access to the firearm and that they themselves would be liable if this occurs. Some may say that this may breach confidentiality, but in California and other states, systems are already in place, where if a person has the potential to harm themselves or others, it gets reported before hand to the proper agency. A good example is when a person is considered to have a lapse of consciousness, due to some type of brain impairment. The physician has a responsibility to report this person to the appropriate source, so the information gets to the Department Of Motor Vehicles. (a) Every physician and surgeon shall report immediately to the local health officer in writing, the name, date of birth, and address of every patient at least 14 years of age or older whom the physician and surgeon has diagnosed as having a case of a disorder characterized by lapses of consciousness. However, if a physician and surgeon reasonably and in good faith believes that the reporting of a patient will serve the public interest, he or she may report a patient’s condition even if it may not be required under the department’s definition of disorders characterized by lapses of consciousness pursuant to subdivision (d). (b) The local health officer shall report in writing to the Department of Motor Vehicles the name, age, and address, of every person reported to it as a case of a disorder characterized by lapses of consciousness. (c) These reports shall be for the information of the Department of Motor Vehicles in enforcing the Vehicle Code, and shall be kept confidential and used solely for the purpose of determining the eligibility of any person to operate a motor vehicle on the highways of this state. (d) The department, in cooperation with the Department of Motor Vehicles, shall define disorders characterized by lapses of consciousness based upon existing clinical standards for that definition for purposes of this section and shall include Alzheimer’s disease and those related disorders that are severe enough to be likely to impair a person’s ability to operate a motor vehicle in the definition”. Another system that is already in place, that is even more closely related to potential dangers of prescription brain altering psychiatric medications in California is called, the “Controlled Substance Utilization Review and Evaluation System (CURES) Program”. The Department of Justice (DOJ) and the Department of Consumer Affairs (DCA) are pleased to announce that the state’s new Controlled Substance Utilization Review and Evaluation System – commonly referred to as “CURES 2.0” – will go live on July 1, 2015. This upgraded prescription drug monitoring program features a variety of performance improvements and added functionality. The Controlled Substance Utilization Review and Evaluation System (CURES) is a database containing information on Schedule II through IV controlled substances dispensed in California. It is a valuable investigative, preventive, and educational tool for the healthcare community, regulatory boards, and law enforcement”. Therefore, as one can see, mechanisms are already in existence that can be slightly altered to add brain altering psychiatric medications. There are actually some brain altering psychiatric medications (Controlled Substance) on the CURES list that are already identified as Schedule II controlled substances; to mention a few i.e. ; Amphetamine – Adderall, Dextroamphetamine (Dexedrine), Lisdexamfetamine (Vyvanse) used for the treatment of ADHD and narcolepsy. Also listed is Methylphenidate (Ritalin, Concerta), Dexmethylphenidate(Focalin), for treatment of ADHD, narcolepsy. Additionally, this applies to Methamphetamine for treatment of ADHD, severe obesity. There are many more brain altering medications prescribed by physicians, being used for mental health patients, on this schedule II list. As you can see from the above, there are already systems in place that can be added to, that can identify individuals that have a mental disorder, that are on brain altering psychiatric medications. By implementing my suggested above program as prescribed, the number of people with mental disorders, having access to legally purchasing a firearm, would be dramatically reduced. Also, I feel that the FDA should have the pharmaceutical companies, include in their Medication Guide, which patients and their families are supposed to be given, by the physician prescribing brain altering “Black Box” psychiatric medications, the following information: “Individuals taking this medication should not have access to firearms”. *This information is a portion of copyrighted material from “Invisible Scars” by Bart Billings, PhD. If the shooter was on a national FBI or DOJ list that stated he could not buy a firearm due to being on mind altering drugs, he would not be able to buy 50 firearms or ammo. See below articles that tells you what these drugs can do. Stephen Paddock, who killed at least 58 people and wounded hundreds more in Las Vegas on Sunday with high-powered rifles, was prescribed an anti-anxiety drug in June that can lead to aggressive behavior, the Las Vegas Review-Journal has learned.Records from the Nevada Prescription Monitoring Program obtained Tuesday show Paddock was prescribed 50 10-milligram diazepam tablets by Henderson physician Dr. Steven Winkler on June 21.A woman who answered the phone at Winkler’s office would not make him available to answer questions and would neither confirm nor deny that Paddock was ever a patient.Paddock purchased the drug — its brand name is Valium — without insurance at a Walgreens store in Reno on the same day it was prescribed. He was supposed to take one pill a day.Diazepam is a sedative-hypnotic drug in the class of drugs known as benzodiazepines, which studies have shown can trigger aggressive behavior. Chronic use or abuse of sedatives such as diazepam can also trigger psychotic experiences, according to drugabuse.com.‘They can become aggressive’“If somebody has an underlying aggression problem and you sedate them with that drug, they can become aggressive,” said Dr. Mel Pohl, chief medical officer of the Las Vegas Recovery Center. “It can disinhibit an underlying emotional state. … It is much like what happens when you give alcohol to some people … they become aggressive instead of going to sleep.”Pohl, who spoke to the Review-Journal from the Netherlands, said the effects of the drug also can be magnified by alcohol. A 2015 study published in World Psychiatry of 960 Finnish adults and teens convicted of homicide showed that their odds of killing were 45 percent higher during time periods when they were on benzodiazepines.A year earlier, the Australian and New Zealand Journal of Psychiatry published a study titled, “Benzodiazepine Use and Aggressive Behavior.” The authors wrote: “It appears that benzodiazepine use is moderately associated with subsequent aggressive behavior.”Dr. Michael First, a clinical psychiatry professor at Columbia University and expert on benzodiazepines, said the Finnish study speaks for itself. But he also told the Review-Journal on Tuesday that he believes the drugs would be more likely to fuel impulsive aggression than premeditated behavior.“What this man in Las Vegas did was very planned,” he noted, referring to reports that Paddock sneaked an arsenal of weapons into the Mandalay Bay and placed cameras inside and outside his room before launching his attack.Why was it prescribed?First said it would be important to discover why Paddock was prescribed the drug.“That may have more to do with why he did what he did,” First said.The Nevada state monitoring report also noted that Winkler prescribed 50 10-milligram tablets of diazepam to Paddock in 2016. He also filled that prescription the day it was written, this time at Evergreen Drugs in Henderson. It was for two tablets a day.Questions have long swirled around whether psychiatric drugs are linked to mass school shootings in the United States, though researchers have yet to find a definitive connections, despite several studies. ( BB NOTE: Big pharma insures that the big money making Black Box Warning anti-depressants, anti-psychotic, etc drugs never get revealed as contributing to violence). Stephen Paddock, the worst mass murderer in US history, was prescribed benzodiazepines in the form of fifty 10-milligram diazepam (Valium) tablets on June 21, according to records from the Nevada Prescription Monitoring Program (PMP). I have also received an unconfirmed report that he was prescribed antidepressants, which are commonly given along with benzos. Unlike Valium, antidepressant prescriptions are not reported by physicians to the PMP, which monitors scheduled narcotic-like or addictive drugs. For decades, it has been known that benzodiazepines like Valium, Xanax and Klonopin can cause impulsivity, disinhibition, or loss of self-control resulting in violence. See my book, Medication Madness: the Role of Psychiatric Drugs in Cases of Violence, Suicide and Crime. Check these Frequent Alerts for the breaking news on this story.